I got two issues concerning the Feature Calculator (Beta). 1. Is there any explanation (not simply mathematically) available for all the features? 2. How is it possible to extract Tamura features from segments? 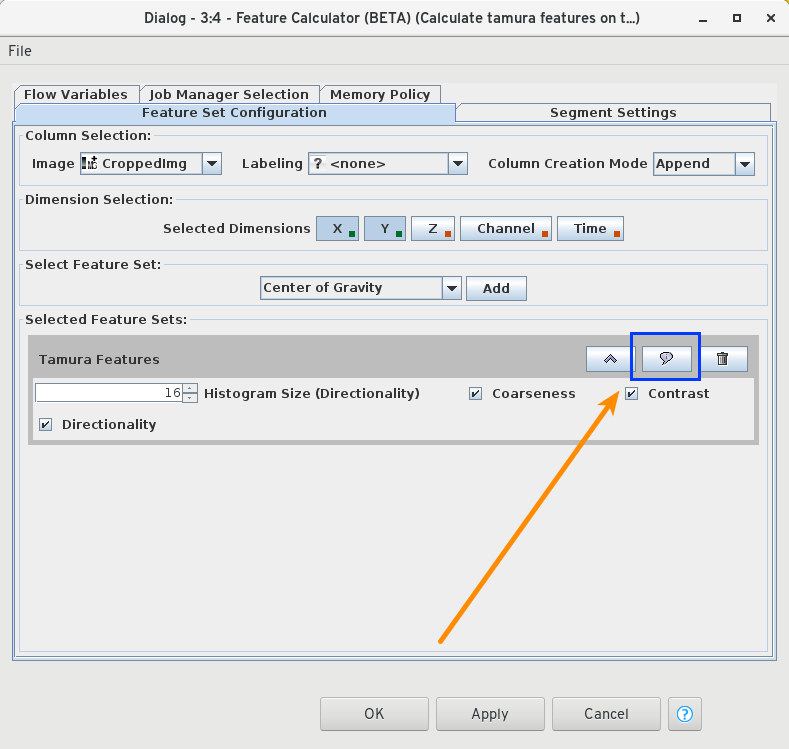 When selecting the segment in Labeling at the coniguration window, all of the features work, except Tamura. It's possible to calculate the Tamura features of the whole image, but that's not what I'm aiming for. 1. The Feature Calculator node can give you a description for each feature if you click on it's description button (see attached screenshot). 2. To calculate the Tamura features for segments, you can use the Image Segment Features node, which also provides these features, thank you for reporting this bug, we will investigate it. 2. Thanks for this obvious solution!